The aim of the level is to infiltrate the city that is surrounded by canyons and man made walls which are in place to aid in the city's defence. The city is far from any heavily populated areas and is secluded from the outside world. The player's Warband that initially comes in on a truck must get into the city and make its way around the stronghold using classic style FPS to kill enemies. They must also solve physics puzzles and physical challenges like swimming in underwater pipes to progress further into a mission that has been deemed highly dangerous. So dangerous that if a Warband member is injured they could be left behind for the sake of the mission. The level has been broken down into different environmental areas these are as follows. The different settings that are throughout the level are to make the atmosphere in the level change due to what the player has to do as well as subconsciously steering the player down the correct paths to progress with the mission. 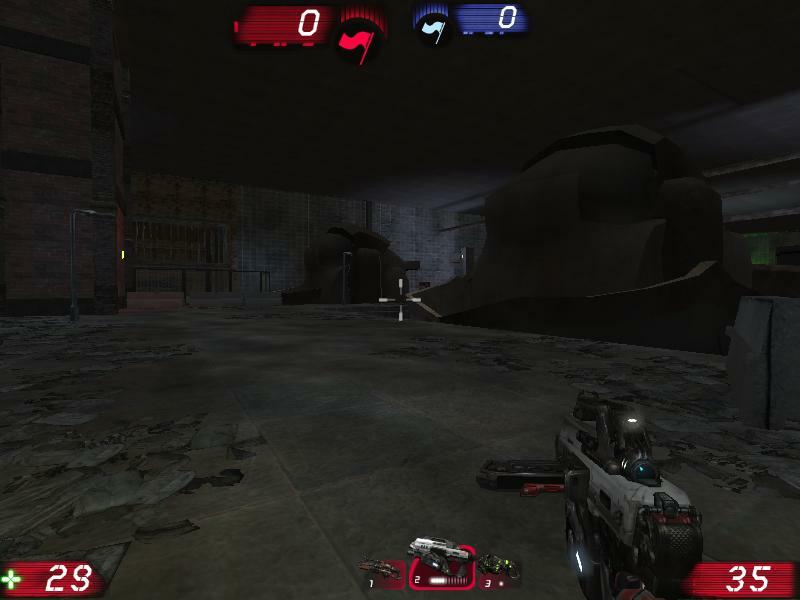 As the setting changes the level would also be subsequently harder to give more of a challenge towards the player as they are adapting to the level and the mission at hand. Giving the player more challenges around the level will enable them to stay focused on the game and to make sure they don't get bored from it being too easy. Within the world of Modern Warband 2 there are various weapons that the player can use and manipulate to achieve their goals and progress throughout the level. *Fixed ratio, one time ammo amount usually as a reward for the player. The main sources that the player will be able to pick up the various weapons from are the enemies they have previously killed. Some weapons and their ammo may only be found on certain enemies and some may only be found in secrets parts of the level that are positioned off the main mission path. This encourages the player to search the level to its full extent, as well as being rewarded for killing the enemies. Throughout the level there are different types of pickups that will aid the player’s progression through the level. Each pickup has its own unique effect. Please see the table below for further details. Within the level there are various types of different enemies that pose a different threat to the player. The different enemies can have different statistics and attributes to show this refer to the table below. For more information on the Boss within the level please see the Level Overview. In the level the players warband have an overall mission objective which is to infiltrate the enemies stronghold then locate and steal the schematics for the Sky ship. To achieve the overall mission objective they have a number of sub objectives that they must complete in order to achieve their overall mission objective. It would be broken down as follows. • Find a way to infiltrate the compound. • Get onto the sky ship! If the player is unable to complete any of the sub objectives then they will fail the mission and will have to restart from the most recent checkpoint. The initial area is where the player will start off with their Warband in the truck and the truck will follow a set path that is scripted to reach outside the walls of the compound. While they are in the truck moving toward the compound they will be briefed on the mission at hand by Taron, the squad leader. When they reach the walls outside the compound a cut scene will be shown of all the warband members dismounting from the truck. After the cut scene has finished and the warband and the player is off the truck the player will gain control. Now that the player has gained control they must find a way to enter the compound to do this they must go up the stairs outside the compound that leads up to the courtyard. To gain access to this they must shoot the lock off the gate. After the player and the Warband have killed the enemy, they can advance further up the stairs into the courtyard. Once the player has reached the courtyard they will encounter their first opposing Warband squad. In the courtyard area the player and their warband will have cover to take refuge behind to protect them self from the barrage of bullets. The enemy warband can also use the cover provided in the courtyard to help give the player that extra challenge. For the player to advance they must defeat all the enemies in the courtyard, they can try and break the enemy cover by pushing forward and advance past the cover of the enemy. This will make the enemy have no choice than to either fall back to further cover or to fight in the open. Once all the enemies have been defeated the player can proceed into the gatehouse tower. 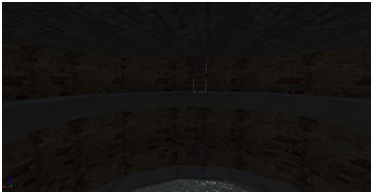 Once inside the tower they will enter a room where they must complete a physics puzzle. They need to complete this puzzle to progress further along the mission. Once completed the enormous steel gates, which are the entrance to the compound, will begin to open slowly. The player must then return back down to the ground by using the rocks outside the window as stepping stones. If they do not use the rocks or they miss, they can die or take massive damage from the fall. As the player gets closer towards the ground going from rock to rock the steel gates will open faster, when they have reached the floor, the gates will get even quicker and open completely allowing them access into the compound. At this point there will be no more enemy encounters until they proceed further into the area. The starting area is not difficult for the player. 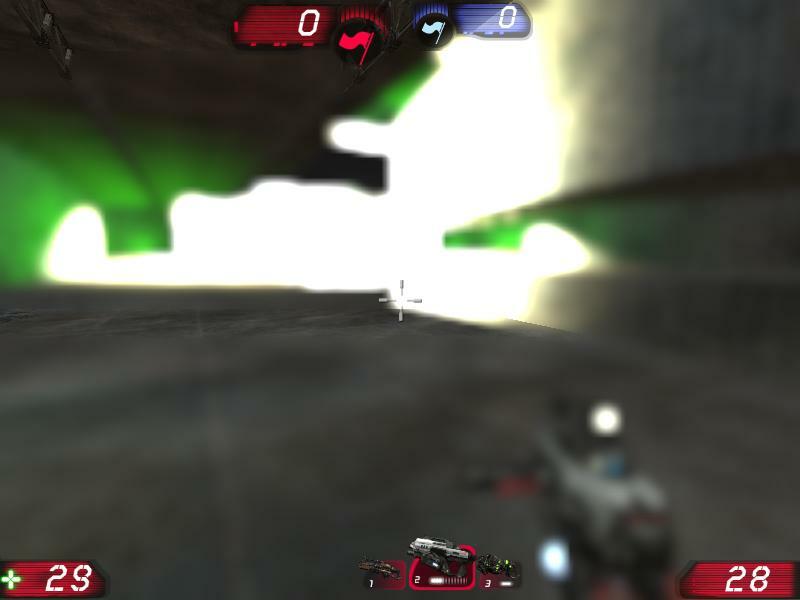 This is due to the beginning being linear and the player cannot go off track. This is to force the player down the route that needs to be taken to actually start the main area of the mission and get them progressing forwards. The Expected game play would be for the player to follow the route until the point where they get into the Inner Fort Area and the choices open up. The atmosphere at the beginning area of the level would be classed as eerie as there are no enemies until the point where the player has to open the gate to the courtyard. Once the player has encountered the first enemy the atmosphere changes to be more fast paced this will involve the player getting quicker and more reckless and running up the stairs until they face the first wave of enemies. The pace and atmosphere will still continue to be fast paced until all the enemies are vanquished when that happens the pace will slow down and the player will be able to think for the physics puzzle. Due to the greyness of early morning, the area is still dark and dreary, and it is clear this operation is being carried out covertly; this builds suspense for the player. In the level there are places known as collision points this is where the player will most likely have a collision with the enemy. In the starting area there are two collisions points that should be noted, one of them is on the stairs where the player meets the first enemy. This enemy is located on the stairs while the player and their Warband are on the ground, this gives the enemy a height advantage even though there is a single enemy. Due to the narrow space and the height it makes the one enemy a formidable foe. The other collision point is where the wave of enemies are positioned in the courtyard. This collision point is challenging for the player due to the number of enemies in the courtyard. The next stage for the player is to enter the inner fort area. Once they move ahead into this area the enemy Warband will flood into the area. At this point the player has a choice to make, they can either go down the centre route and go guns blazing, using their ammo and fire power to take out the enemies. The other Warband members will also help here. The other choice the player can make is take the stairs on the right hand side and take out the snipers that are up there. They can then acquire a sniper rifle and take out enemies from a distance while the player’s warband proceed down the central route. 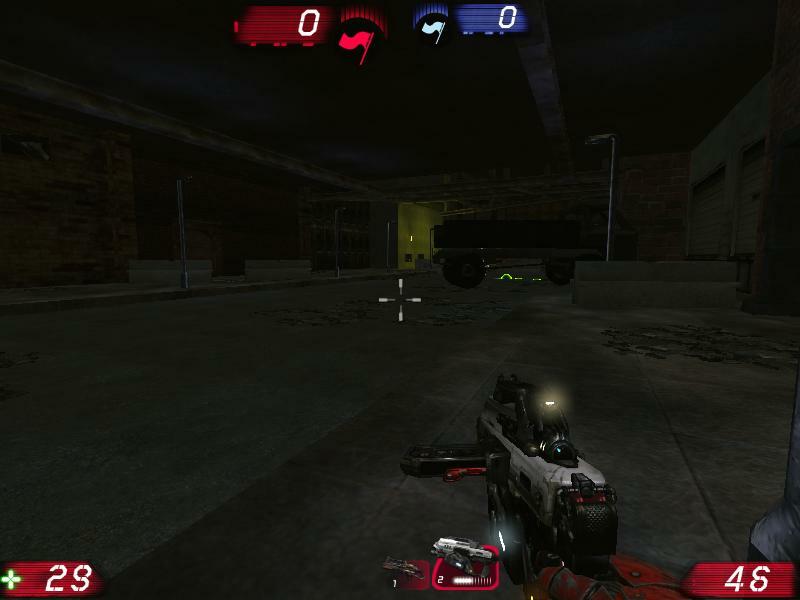 After the player has taken out all of the enemies in the area by using one or even both the choices they then have to proceed onto the next area which is in between the buildings on the left. The next part of the area the player is able to make another "tactical" choice which would normally depend on their style of play. There would be 2 classes of player here the "Berserker" which would go down the central route between the 2 buildings and use their fire power and ammo to take down all enemies not really concerned with anything other than killing. The other type of player would be a "Supporter", this is where the player would go inside the house take out the enemies that are in there and then go on towards a window or balcony and support their warband that is on the ground. If they did manage to pick up a sniper from earlier then they can take enemies out more accurately from a longer distance. Not every player would fall into just one of the player types, they could do both styles of play and they may do something completely different all together. As the player goes round the area they can smash crates, by doing this they have a chance of obtaining ammunition. Once a crate has been broken the crate will not re-spawn. After taking down all the enemies around and inside the buildings they can then freely move on to the next area. The main route into the next area is blocked so the player has to take an alternate route which is down an alley way that leads into the next area. There is no exact game play that can be expected because the player has multiple choices; the choices the player can make, however, have impacts on the rest of the level. The first piece of expected game play is that the player will have to choose which route they wish to take to overcome each section of the area. If the player is skilled and fast they might be able to take both routes and even combine the two routes. If they take the second route which leads them into the house, there is another area where there are breakable crates with ammo and pickups inside. This is rewarding the player for exploring further. The game play in the area is expected to be fast paced due to the fact that there will be a lot of different enemies in the area. The atmosphere in this area would be more intense and fast paced. This is due to the speed that the player has to move at in order to stay alive and progress through the level. The lighting in this area is also more bright and well lit, taking away that suspense that was built before, and climaxing in ferocious combat. The inner fort area has a number of different collision points because of the amount of enemies the player must engage in order to advance deeper within the level. There are roughly 4 collision points in the area, and two of them are at the beginning when the player moves into the area and is attacked by a wave of enemies. 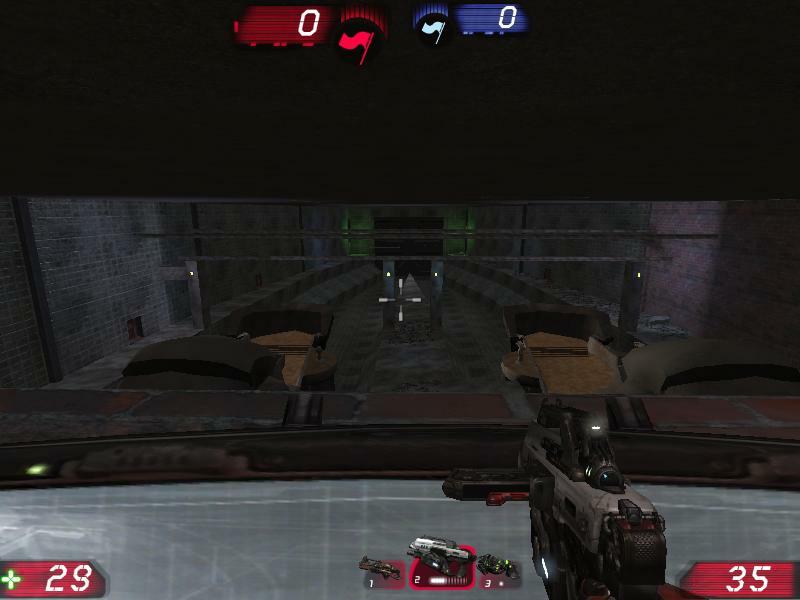 The collisions occur on the route where the player can acquire a sniper rifle by taking out the enemies in the route using the stairs. 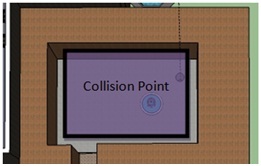 The next collision point is in the same area as the first collision point but is on the ground route, this collision point would seem to be more action packed to the player because has is a more hands on approach. 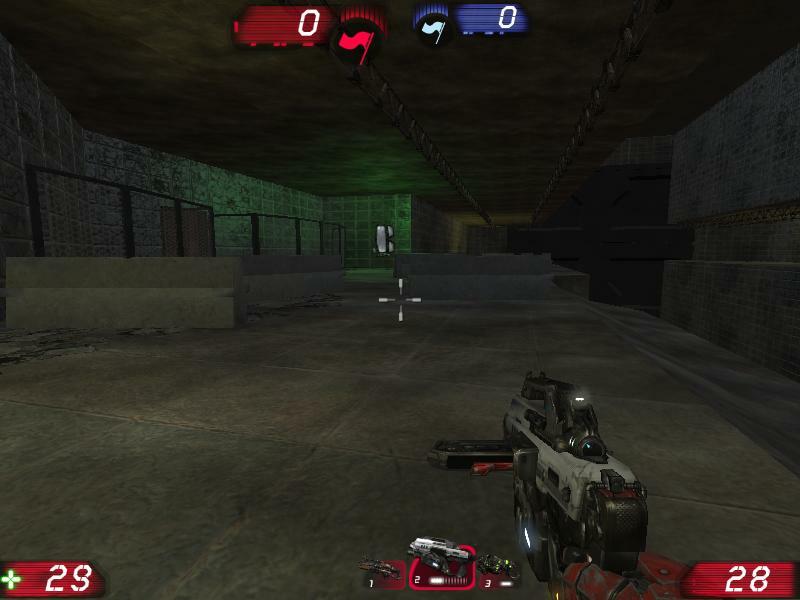 There are more enemies in this collision point and because of that, more cover has been provided for balance so the player can proceed with a greater chance of success. The next collision is inside the house where the player can support his other warband members by taking out the enemies in the house and then use the balcony outside to use long range attacks. When inside the house there is little cover to use to take down the enemies but the advantage is once the enemies have be taken out, as the player can then use the height and the distance to turn the tide of the battle. The last collision point is on the ground. This is the same situation as the previous ground route in the other area. This is a harder and more engaging option. Throughout the different collision points, the player can break the crates that are found in the area to be able to gain health or a small chance to get a melee weapon. This is to help the player make it though the collision points and to make sure the player doesn't get stuck for hours on one point with no success. The crates are there to help the player to proceed with more ease but this does not mean the player will be able to advance through the level thinking crates are everywhere and will always give out rewards. When the player is in the alley there is no confrontation from enemies. This is where the player can take a break and collect themselves. This safe zone was added to prepare them for the boss battle. 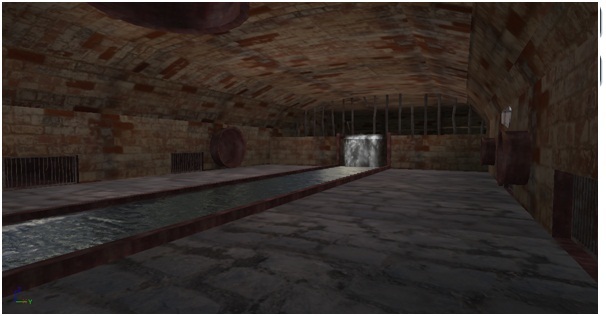 The player then heads from the alleyway into the next area this is where they will come across a fountain decoration. While in the area it will be very empty and quiet. The player will be given a SMG by one of their Warband members and they will be told that this will be useful in the future. The player will then hear a loud roar and then a cut scene will be played. The cut scene will then show the alley way collapsing trapping the player in that area and stop them from being able to go back. This was done to make the player move forward within the level and not accidently try and run away from the boss battle. The cut scene will then show the pan to the troll and then the boss battle will begin. When the battle does begin the players warband allies will have god mode disabled and can actually be killed by the troll. After a minute of the player trying to kill the troll the warband members will tell the player that the troll is too hard to defeat and they should escape into the sewers for the sake of the mission. If all the Warband members die before they can tell the player then the player will not be able to advance and will mostly likely die or have to restart from the last check point. After the player gets told by the Warband members they can then jump down into the sewers. The expected game play in the Fountain area will be that the player will try to kill the troll but will have to stay alive and not to waste too much ammo. The troll does quite a bit of damage so they will also have to make sure that they stay away from the troll and to not get into a close quarter combat situation. They will also have to make sure their Warband members don't die, so they have extra support and to make sure the event takes place that allows them to continue. The player will then disengage from the troll and will try and make their way into the sewer using the ladders provided. The player will be in an extreme situation and it being a boss battle the music will affect the atmosphere a great deal. The music, look and size of the troll will make the player very nervous and reluctant to fight it. The player may also be scared because there being very little room to flee from the troll and also knowing they are trapped in the fountain area and not being able to escape after seeing the alley way collapse. 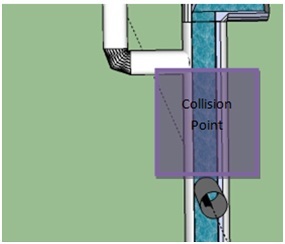 The fountain area is a closed space environment and because of this there is one collision point that engulfs the entire area. The only enemy in the area is the troll and is the only threat towards the player and their warband; this means that there is only ever one point of collision in the area. Once the player has jumped down into the sewers using the ladders they will be faced by a choice that they have to make. As the player tries to find a way out they will hear a scurrying noise and then within a few moments man eating bugs will start to pour into the room. Once the player has cleared the room of the bugs and they find the large pipe with the grate blocking the entrance one last bug will jump out towards the player and will break the grate of the pipe. The player can kill the bug and then they can continue down the pipe this will lead the player in to an underground sewer maintenance room. Once the player has entered the sewer system there is only one option for the player to take and that is to go down. Once the player has entered the water they will not be able to climb out as the ledge is too high for the player to jump onto. This was done to make sure the player can not try and go back and will force them to continue on with the level and the mission. Once the player has entered the water they must swim down through the pipe and make their way to the other area. Once the player is underwater they must not take too long going through the pipes as they will start to lose health from lack of air. If the player does get stuck in the pipe while under the water they may die from being in the water too long and will have to start again from the most recent checkpoint. 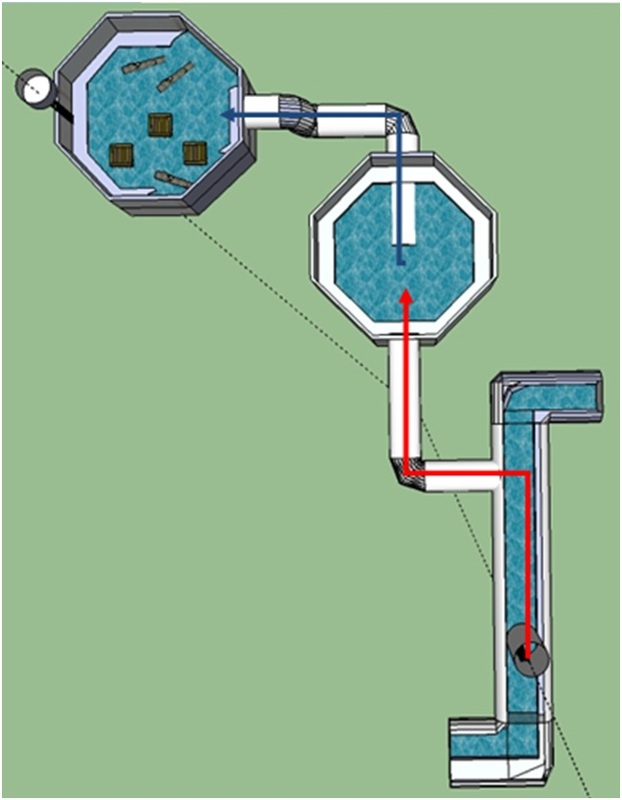 Now that the player has come out of the water and has entered the next sewer room they can see that they have to go across the water to the ladder on the other side. If the player falls into the water and they need to get out there is a ledge that goes round the entire outside of the room. Once the player has taken the first ladder they can then go around the ledge on the second level to reach the ladder that takes them to the next area. If the player falls off they will end up back into the water and will have to start again to get up the levels. Note: Once the player has been past the first initial area where they encountered the swarm of bugs there will be no more conflict until they enter the next area. The game play in the sewer area is quite linear so to make the player not notice this as much, the choice of killing or healing the enemy solider at the start of the area was added. The bug fight after the player’s choice will keep the player on their toes throughout the rest of the area, even though there is no conflict after this fight. The player will want to advance forward expecting more conflict but will be more careful and think about the situation they are in. The expected game play in the sewer rooms should be fairly fast and should not take the player too long to get past. When the bug fight starts it should make the atmosphere more hectic. After all the bugs have been defeated the player will feel on edge and this is where the bug that jumps at the grate on the sewer pipe and should make the player jump. After this, there is very quiet and eerie ambient music. These dripping and quiet running water sounds should almost make the player more aware of the silence of the sewers. This, once more, begins to build suspense. There are no other collision points in the rest of the sewer system and because of that there are a few more enemy bugs to face in the one collision point. Once the player has gone up from the sewers into the hanger they will see two sky ships down the hanger on the right. As they walk further down the long hanger they will be faced by swarms of enemies where they will have to keep pushing further down using the cover that is provided until they reach closer to the sky ship. This is where they will be reunited with Taron, one of his ally Warband members. Taron will speak to the player and explain to the player what happened at the Troll fight and then what the player has to do now. After Taron has told the player the next objective, Taron will climb aboard the accessible sky ship while the player will have to find a way to open the big metal gates to allow the sky ship to move out of the hanger. As the player heads towards the a lift that they will be able to see that takes them up to a tower more enemies will flood into the room and the player will have to fight them off. Once the player has pushed past the enemies they can then make their way onto the lift and up to the tower. Once in the tower the player can activate a switch that will then open the main gates to allow the sky ship to advance. When the gates are open completely the sky ship will start to move slowly. This will mean the player will have to be quick to get onto the sky ship before it leaves. If the sky ship leaves before the player gets on then it will be a mission failure. The player would have to start again from the most recent checkpoint. When the player does get onto the ship they will then be confronted by the final battle. As the Airship moves through the tunnel speeding up the enemies on either side of the tunnel will fire at you. You have to survive the last few attacks of the enemy before the level is complete. The player will also be helped by their Warband ally Taron who has unlimited ammo in this area, Taron is also an experienced Warband member and has been in many battles, because of this he is a dangerous ally and has very high accuracy. Even with the help of Taron, if the player is lazy and tries to rely on Taron for the sky ship defences they will most likely fail the mission. Once the player three gates the level is completed. The expected game play in the Hanger will be very action packed because it’s the climax of the level, after playing this long and trying to survive for so long, the tension of the player provides the climax at the end. The player makes the final section more enjoyable the in depth the player is in the game. As soon as the player enters the hanger from the sewers they will have to be constantly fighting their way through wave after wave of enemies with very limited breaks between enemy encounters. The player will have to be able to think quickly on their feet and to assess the situations they are in to be able to survive all the enemies and make if from the tower to the ship. The atmosphere in this section will be very intense. This is the final climax of the game, and should push the player forward for the duration of this final area. There will be explosions and gun fire all around, with many enemies in most directions. At the very end of the level when the gates open, a very bright white light comes through the hangar doors to show that they have finished the level, and that daybreak has finally come. Once the player gets onto the ship they compete in a final rail shooter action scene before the level finishes with a bright light and mission complete. The level was designed to give the player minor choices on a linear route. This would make sure the player does not get bored following a set path which would make the game and level boring. Any player of any skill level should be able to enjoy the level and the way it has been designed the player would be able to put down the game and come back in at any point and easily get back into the action. The level is very action packed with some points of rest to allow the player to compose themselves and continue. This is an excellent feature in the level that will keep the player addicted and want to keep going and going until the level has been completed.